Wilger is a proud manufacturer of quality sprayer & liquid application equipment parts and components. 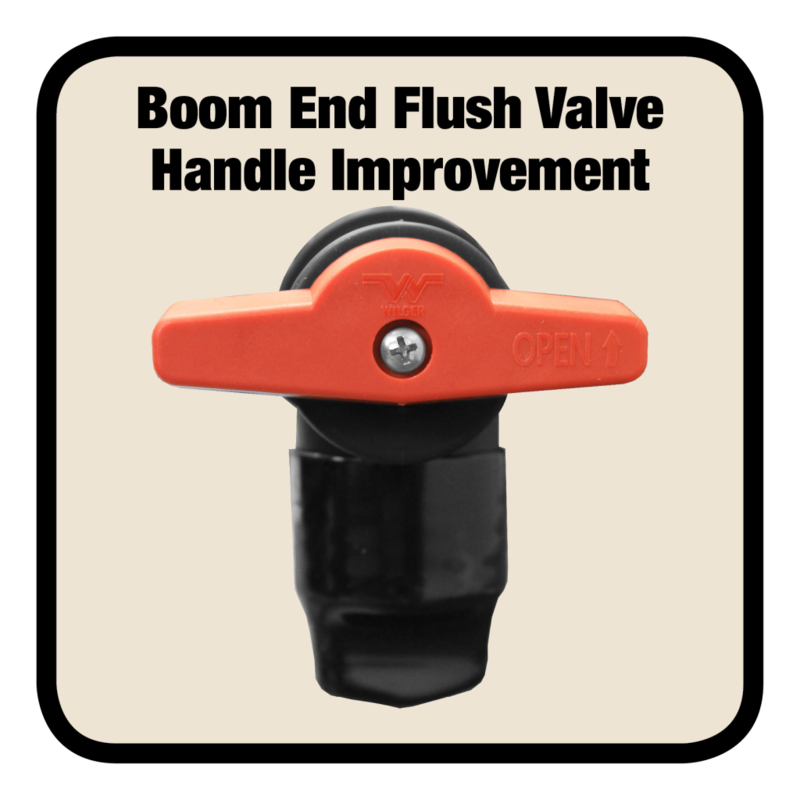 Combo-Jet® Spray Tips & Nozzle Bodies, Combo-Rate® Nozzle Bodies, Boom End Flush Valves, Boom Fittings & More. Visual Ball Flow Indicators, Combo-Jet® Nozzle Bodies, O-Ring Seal (ORS) Manifolds, Dry Boom Nozzle Bodies & More. ER, SR, MR, DR, UR – Which one is right for me? Do Combo-Jet Spray Tips Use Air Induction? Find a Wilger Parts Dealer or Distributor near you! Wilger Industries Ltd. was founded in 1976 by Wilfred H. Wilger, the company’s President, to manufacture agricultural field sprayers. In 1985, Wilger designed and began manufacturing a multi-spray head turret, followed shortly by the Radialock cap and the COMBO-JET all-in-one Tip-Cap with snap-in strainer. In the following years Wilger has developed several other industry leading products which are utilized by major sprayer manufacturers worldwide. Our commitment is to develop and manufacture better engineered, innovative, sprayer components that make spray application safer, easier and more effective. Wilger has manufacturing and distribution facilities in Saskatoon, SK, Canada and Lexington, TN, USA.